As we observe our students in the classroom setting, we look for them to be engaged in learning, not just “busy,” nor “on task.” We want them intellectually active in the target language with challenging content in a real world context. While attending my most recent district professional development day, the following explanation adapted from The Danielson Framework (3C: Engaging Students in Learning) was shared with us. How can we implement a world language “minds on” engagement within the confines of the classroom walls? Can you imagine traveling without even leaving your classroom? Let’s look at ways to get your students “minds on” and give them culturally rich experiences. Once you reach your destination use visible thinking strategies for students to collaborate about healthy lifestyles, clothing, weather, protecting the environment, freetime activities, etc. Students can use collaborate protocols to solve problems and or dilemmas that occur in the destinations. They can invent them (higher levels) or you can provide prompts. I recently used a protocol I learned during a staff professional development day to have students discuss an environmental problem that affects them directly. They used my version of the protocol (Resolver un problema) as a discussion tool to brainstorm solutions to a group member’s problem. We used information from this discussion to choose topics for researching the students’ final performance assessment. The possibilities are endless! Students can interact with the art (such as Picasso’s Guernica) and other images getting and giving pertinent information on the inspiration, meaning style and socio-historical context of works/images. You can add trigger points with questions that help focus students on particular aspects of the image. Completing this task enables students to participate in a more in-depth interpretive “close reading” of the image. The task can also be interpretive listening depending on the videos embedded or linked. After having students answer the questions in a google doc, a whole class group discussion can take place to share differing opinions about what was seen or “closely read” by the students. Using a gradual release of responsibility approach, provide them with a variety of other images where each group of students creates their own Thinglink with questions and/or activities that help to analyze that additional image (presentational and/or interpersonal modes). After students trade Thinglinks and complete each other’s questions/activities, have each student take on another image of their own, but this time they can add descriptions, videos and URLs to demonstrate what they understand about this final image. Consider using this final activity as a presentational performance assessment where students use skills, functions, vocabulary and more to demonstrate what they can do in the world of analyzing and appreciating art, architecture, landscapes and more. Think of all of the exposure to various cultures during this process! Have your students experience more by “using the power of virtual reality, YouVisit connects people with unique virtual experiences on a worldwide scale, sparking curiosity, inspiring exploration, and creating a sense of global citizenship.” Use these tours to have students work collaboratively to solve a dilemma, compare/contrast with authentic literature and/or speculate what may have inspired the making of the building, sculpture, art, etc. Students can explore, hike, and journey through the terrain and landscape and also plan a trip of their own with certain “choices” or “parameters” provided by you. I recently used this virtual tour of La Alhambra in my AP Literature and Culture class as an introduction to the poem, “Romance de la pérdida de Alhama”. Students discussed why the author chose to use the expression “¡Ay de mi Alhama!” and made predictions on what the poem might want to tell us about the author’s inspiration or emotional state of being when writing the piece. After reading and analyzing the poem together as a class, students wrote their own original short poems finishing the “estribillo” ¡Ay de mi ______! Lets imagine a classroom without the technology we would all love to have or perhaps your technology access is limited. What then? Remember postcards?! They can a work for any of the activities listed above. If you laminate them, students can annotate the images with overhead (I’m sure there are some still lying around your classroom) or dry erase markers for the close reading strategies. 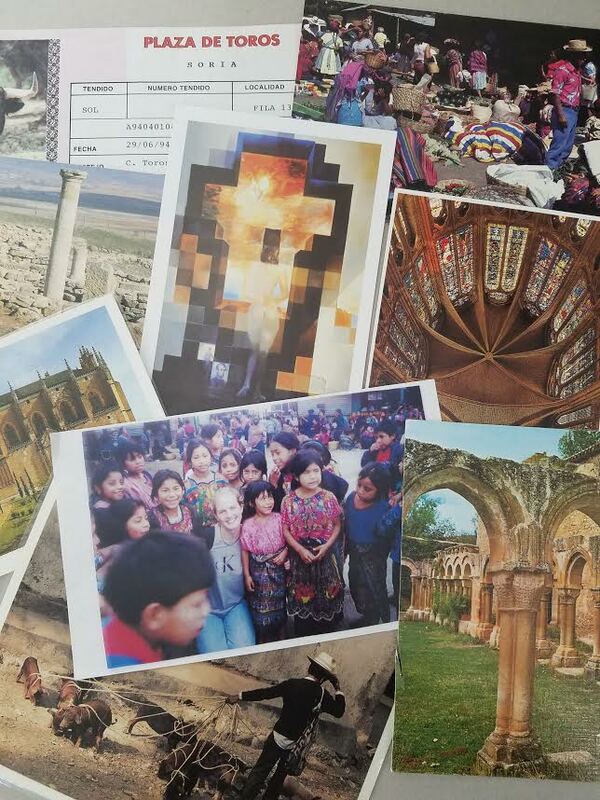 Print your favorite travel, art, and architecture pictures and put them in plastic sleeves. Students can annotate, draw routes and highlight observations with the same strategy I mentioned for postcards. 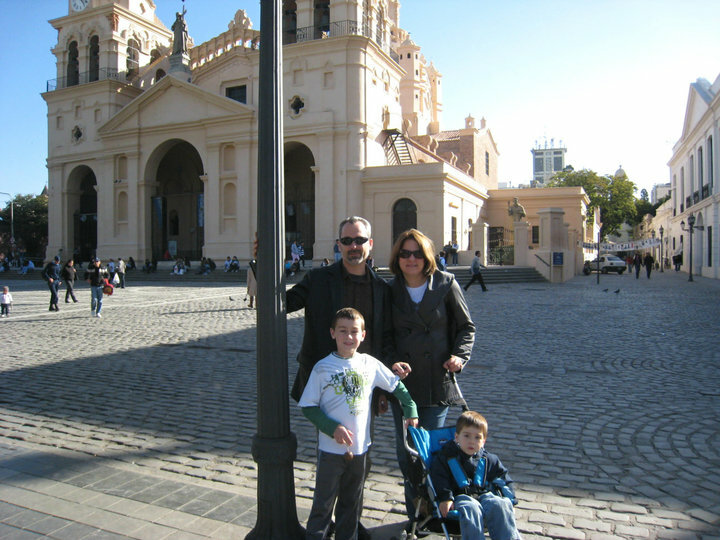 Make your own book of your travel images with sites like Snapfish or Shutterfly. Share family or student trip scrapbooks from past trips with students and let them retell your trip via photos. (Students love to see my myriad of hair styles through the years!). Have them create a story from your pictures. Maybe some of your students have travel pictures of their own that they are willing to share. I have some well travel students! Do you?